Ever wondered what Noah’s Ark looked like? These days you don’t have to wonder because it has been rebuilt to full scale! Ken Ham is the man who has rebuilt this marvelous structure and he is Kevin’s guest on the Educate For Life Radio Show. The Ark Encounter features a full-size Noah’s Ark, built according to the dimensions given in the Bible. Spanning 510 feet long, 85 feet wide, and 51 feet high, this modern engineering marvel amazes visitors young and old. Ark Encounter is situated in beautiful Grant County in Williamstown, Kentucky, halfway between Cincinnati and Lexington and right off I-75. Ken Ham is a well known Christian Apologist. He founded the website Answersingenesis.org and has debated well-known atheists such as Bill Nye and many others all over the world. 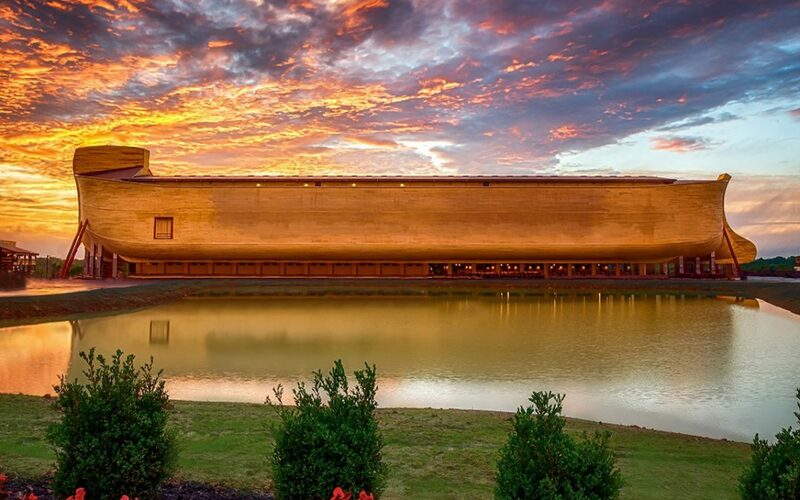 With the Ark Encounter he has attracted the attention of believers and non-believers alike. In fact, atheist groups have gone as far as to warn over 1,000 school districts not to take their students to the Ark Exhibit. Tune in to hear more about the Ark and how it is an amazing testament to the accuracy and veracity of the Bible. You will learn more about the science behind this incredible story.